Mma Ramotswe and Mma Makutsi are approached by their part-time colleague, Mr Polopetsi, with a troubling story: A woman, accused of being rude to a valued customer, has been wrongly dismissed from her job at an office furniture store. Never one to let an act of injustice go unanswered, Mma Ramotswe begins to investigate but soon discovers unexpected information that causes her to reluctantly change her views about the case. Other surprises await our intrepid proprietress in the course of her inquiries. Mma Ramotswe is puzzled when she happens to hear of a local nurse named Mingie Ramotswe. She thought she knew everybody by the name of Ramotswe and that they were all related. Who is this mystery lady? Then she is alerted by Mma Potokwani that an unpleasant figure from her past has recently been spotted in town. Mma Ramotswe does her best to avoid the man, but it seems that he may have returned to Botswana specifically to seek her out. What could he want from her? With the generosity and good humour that guide all her endeavours, Mma Ramotswe will untangle these questions for herself and for her loved ones, ultimately bringing to light important truths about friendship and family – both the one you’re born with and the one you choose. With sympathy and indefatigable good humor, Mma Ramotswe and her friends see one another through these major changes and discover along the way what true friendship really means. Precious Ramotswe is very busy these days. The best apprentice at Tlokweng Road Speedy Motors is in trouble with the law and stuck with the worst lawyer in Gaborone. Grace Makutsi and Phuti Radiphuti are building the house of their dreams, but their builder is not completely on the up and up. Most shockingly, Mma Potokwane, the orphan farm’s respected matron, has been dismissed from her post. Mma Ramotswe is not about to rest when her friends are mistreated. Help arrives from an unexpected visitor. He is none other than the estimable Mr. Clovis Andersen, author of The Principles of Private Detection, the No. 1 Ladies’ prized manual. Together, Mma Ramotswe, Mma Makutsi, and their colleague help right injustices that occur even in their beloved Botswana, and in the process discover something new about being a good detective. Modern ideas get tangled up with traditional ones in the latest intriguing installment in the beloved, best-selling No. 1 Ladies’ Detective Agency series. Precious Ramotswe has taken on two puzzling cases. First she is approached by the lawyer Mma Sheba, who is the executor of a deceased farmer’s estate. Mma Sheba has a feeling that the young man who has stepped forward may be falsely impersonating the farmer’s nephew in order to claim his inheritance. Mma Ramotswe agrees to visit the farm and find out what she can about the self-professed nephew. Then the proprietor of the Minor Adjustment Beauty Salon comes to Mma Ramotswe for advice. The opening of her new salon has been shadowed by misfortune. Not only has she received a bad omen in the mail, but rumors are swirling that the salon is using dangerous products that burn people’s skin. Could someone be trying to put the salon out of business? Meanwhile, at the office, Mma Ramotswe has noticed something different about Grace Makutsi lately. Though Mma Makutsi has mentioned nothing, it has become clear that she is pregnant . . . But in Botswana—a land where family has always been held above all else—this may be cause for controversy as well as celebration. At a remote cattle post south of Gaborone two cows have been killed, and Precious Ramotswe, Botswana’s No. 1 Lady Detective, is hired by fearful client, himself a suspect. She and secretary Grace Makutsi, wooed by Phuti Radiphuti, both see her old white van. Mr J.L.B. Matekoni’s apprentice runs away under pressure to wed. Violet Sephotho runs for the Botswana Parliament. 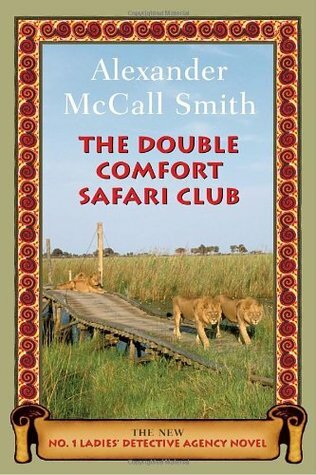 Mma Precious Ramotswe and Mma Grace Makutsi go to safari lodge in Botswana Okavango Delta for former guest’s delicate mission. Delta has beauty, yet is home for rival safari operators, fearsome crocs and disgruntled hippos. Grace is nervous over coming wedding to Phuti Radiphuti, but Precious knows patience, like river eroding obstacles, works everything out for the best in the end. The latest installment of this universally beloved and best-selling series finds Precious Ramotswe in personal need of her own formidable detection talents . . . .
Mma Ramotswe’s ever-ready tiny white van has recently developed a rather disturbing noise. Of course, Mr. J.L.B. Matekoni-her estimable husband and one of Botswana’s most talented mechanics–is the man to turn to for help. But Precious suspects he might simply condemn the van and replace it with something more modern. Can she find a way to save her old friend? In the meantime, Mma Makutsi discovers that her old rival Violet Sephotho, who could not have gotten more than fifty percent on her typing final at the Botswana Secretarial College, has set her sights on none other than Mma Makutsi’s fiance, Phuti Radiphuti. 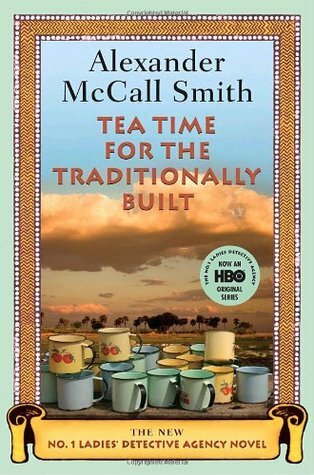 Can Mma Ramotswe’s intuition save the day? Finally, the proprietor of a local football team has enlisted the No. 1 Ladies’ Detective Agency to help explain its dreadful losing streak. The owner of the team is convinced he has a traitor in his midst. But how is Mma Ramotswe, who has never seen a football match in her life, going to discern who is throwing the game? Help, it turns out, may come from an unexpected quarter. 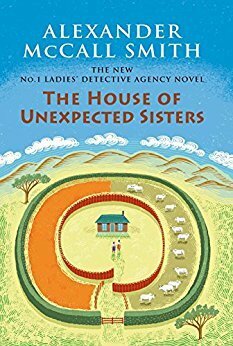 There are few mysteries that can’t be solved and fewer problems that can’t be fixed when the irrepressible Precious Ramotswe puts her mind to them. A good cup of red bush tea might be the best solution of all.